Is anyone having trouble printing directly from HM3? 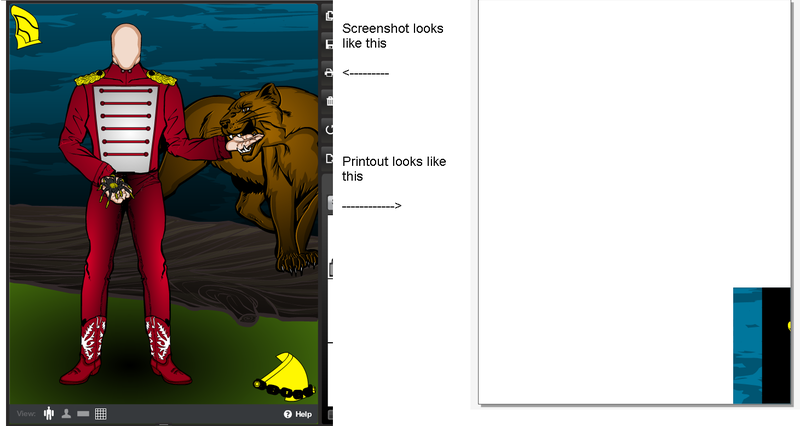 I'm having trouble getting the image to appear properly using the built-in "print" button, it cuts it off. Well, I tried with something called a ‘Microsoft XPS Document Writer’, print to file thingie. The results were pretty broken. I didn’t have any problems at all. Perhaps you could try adjusting either the screen size or the page layout. After posting this I adjusted the code and it should be working properly. Apologies for the warning sirens. I’m pretty sure it really was broken before though. I guess hardly anyone uses the Print function, preferring the Save as JPG/PNg instead. Actually I’ve never tried to print until today. By the time I got to it I suspect you already had it fixed.